This week I spent hours getting organized and playing catch up. With back to school around the corner, I was feeling the need to shift into high gear. Between our basement renovation and summer holidays, paperwork, recycling, mending, gardening, and other to-do projects have really piled up. I dedicated this week to tackling most of everything, but I underestimated how far behind I really was. Does this ever happen to you? To keep from feeling overwhelmed, I like to create a list of tasks and estimate how much time each will take and list them in priority. Then I set aside blocks of time in my schedule, starting with the most important and filling in with others that take less time where needed. 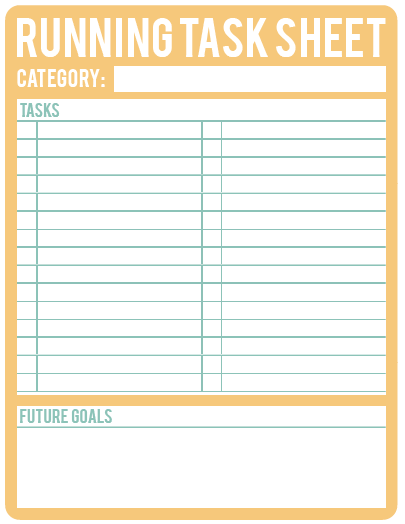 There are several free printables online, including this running task sheet from A Well Feathered Nest that I like to use. 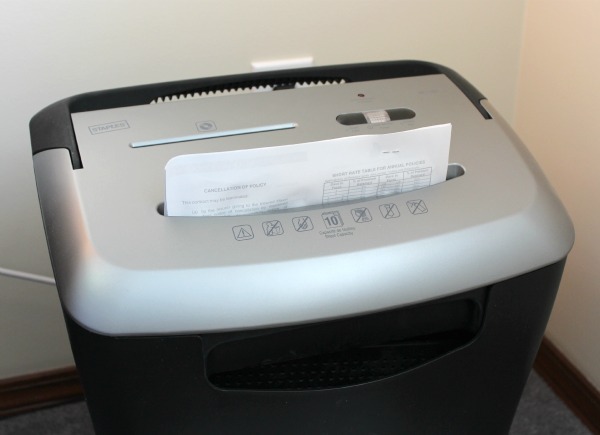 Top on my list was sorting through out-of-date paperwork and putting it through the shredder and/or recycling. Whenever my files or paper storage bins get too full, it’s time to be ruthless. Generally, in Canada, you need to keep supporting documents for tax purposes for a period of 6 years (sometimes it’s longer if you own a business). I realized that I had some receipts going back 8 years and more. Everything that fell into that category got shredded and I ended up with a huge garbage bag full. Another priority was tidying up our yard. This year my pots had a slow start with all the rain, but with the continuous sunshine thereafter, they really took off. Basically I needed to deadhead everything and give it another shot of organic fertilizer to carry it through a little longer. 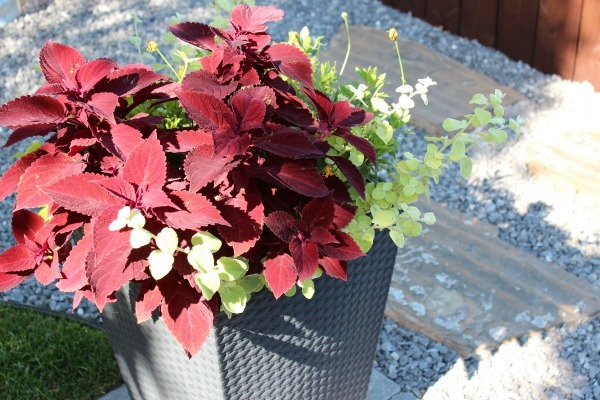 I love how this plum coleus mixed with yellow and chartreuse plants looked this year and I will probably repeat something like it next year. Now that the construction phase of our basement renovation has basically wrapped up (more on that next week), I have also started cleaning and prepping for the furnishing and decorating part of the project. Once we install shelving in the storage rooms downstairs, I will also be able to move the mess of items we’ve been storing in my office to avoid damaging them during the renovation. I’m looking forward to shifting everything and feeling like our house is coming back together. Have you managed to keep up this summer or do you have some catching up to do as well? I am playing catch up as well, with my oldest heading to Alberta for university next week! We have been trying to get all the in order and then I need to focus on the other two! My plants too had a late start here, and yesterday I spent deadheading and trimming! Off to my old stomping ground. I loved heading back to university every year, even though it always seemed like a hectic time. I can’t believe summer break is almost over! Love the printable, Thanks! One thing that has gotten away from me has been the garden. I was keeping up with the weeding, but the last few weeks it has gotten away from me with all the rain and nice weather. The weeds have turned it into a jungle! Eeeek! This is just one of the many tasks piling up at my house. This printable will help keep things under control. The dreaded weeds! Hope you find time to get it under control, but it can sometimes be an impossible task. Make sure you take time to enjoy the rest of your summer. I so need this task sheet! There is always things to be done just not enough time so your printable sheet will come in handy to sort everything out. I’m playing catch-up! I’ve been focusing on my blog makeover, and that’s part of why I pulled back on my posts per week, but when I read your paragraph about the shredding… well, I have no excuse for that! I’ve let it get way too bogged down, and now I have to just take the plunge and do the work. But there’s always another project that’s way more fun! You have inspired me to just get it done!! !